What does the VETtrak Integration do? The VETtrak Integration provides a method to share information on courses, enrolments and results between the VETtrak Student Management System (SMS) and Coassemble LMS. The VETtrak Integration feature is available to Coassemble LMS customers on the Enterprise plan. Customers will also need an appropriate VETTrak Enterprise account and instance. The basic setup periodically imports Occurrence and Enrolment data from VETtrak and creates corresponding Course and User items within Coassemble LMS. To start using this feature, the VETtrak service URL and security credentials must be specified. Enter the VETtrak API WSDL URL. This can be located in the VETtrak SMS. Enter the Username and Password for API access. This can be located in the VETtrak SMS. Enter a Default timezone for new members and group. At the time of writing these must be manually entered. Timezones for Australia can be found below. Click the Test button to attempt to connect to the VETtrak server. A feedback panel will display above the Log information. If an error occurs, check the fields above are correct. If the error recurs, contact VETtrak support for assistance. Click the Save button to store the details for your account. If the test succeeds, then the basic setup is complete. New VETtrak Occurrences and Enrolments will be added to Coassemble at the scheduled times as noted in the introduction. 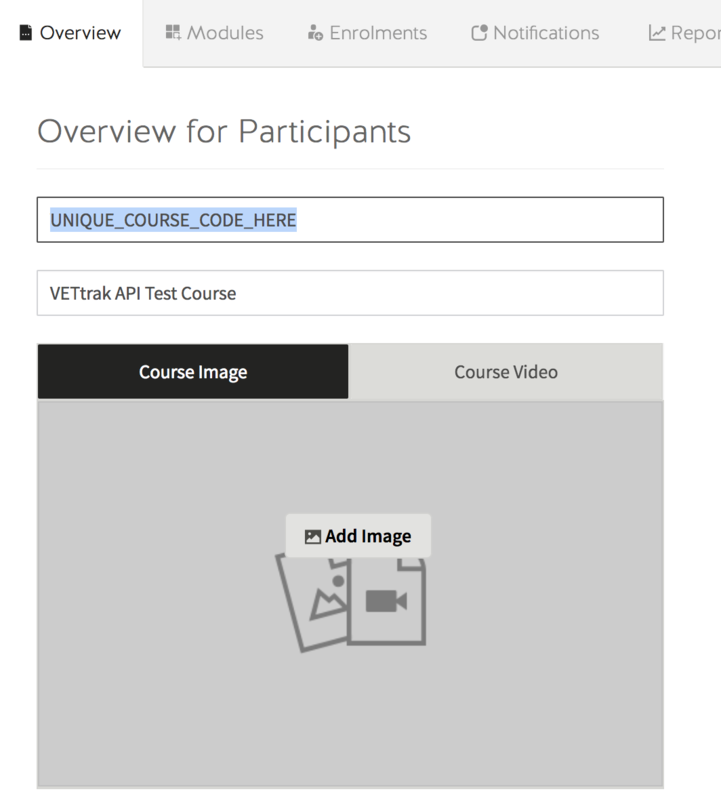 With this option enabled, Coassemble will send a Result to the VETtrak SMS when a participant successfully completes all modules within a course. On the Campus Settings page, go to the VETtrak Integration settings section. Set the Enable result reporting switch to ON. Set the Result Type to suit the VETtrak Occurrence. With this option enabled, Coassemble will write a date of commencement to the Comment field of the VETtrak enrolment. Note: this will overwrite any existing comment on the enrolment. This National Code will also need to be specified on the matching Coassemble Course, as specified in the following sections. 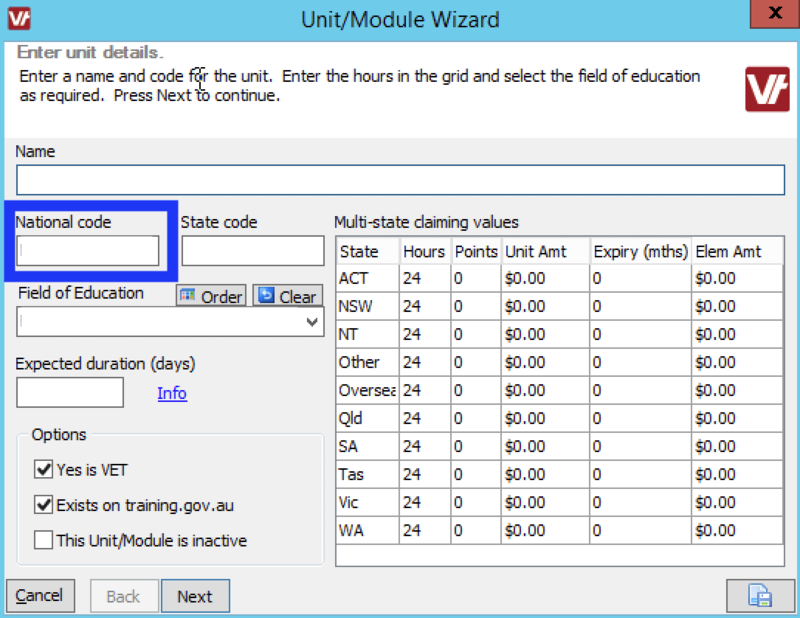 The Resource Codes feature allows the specification of a unique code that corresponds to Course resources. Once this Course Resource Code has been specified to match the corresponding VETtrak National Code, the VETtrak Integration feature will import Enrolments. A typical setup in VETtrak has several Units in a Programme: all Units in the Programme will be matched to Courses in Coassemble; furthermore those Courses will be linked to a single Coassemble Group corresponding to the Occurrence. Commencements and results for Coassemble Courses will be updated in VETtrak depending on the Integration setup in Coassemble Campus Settings. For more information please contact the team at Coassemble Customer Success.